On Christmas Eve most buses are following a normal Monday to Friday timetable but will stop running between 7pm and 8pm. Emerald 5 & 6 will have additional late evening services. Reading Buses are warning passengers that services, including Emerald 5 and 6, will be disrupted by road closures in the town centre on Remembrance Sunday, 11 November, between 9.15am and 11.30am. An exhibition of Reading trolleybus history opened at Reading Museum on 14 August. Items on show will delight the transport enthusiast and local historian. 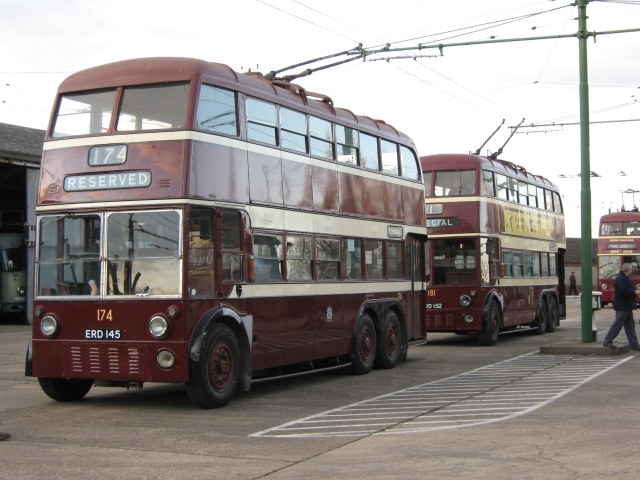 This is one of several events in Reading and at the Trolleybus Museum at Sandtoft near Doncaster to mark the fiftieth anniversary of the closure of Reading’s trolleybus system. Disabled people, trade unionists and Berkshire Disabled People Against Cuts (DPAC) will be outside Reading Borough Council (RBC) civic offices on Bridge Street on Monday 11 June at 6pm to protest council proposals to reduce concessionary bus services for disabled people. They are just maroon and cream coloured ghosts now, their web of wiring long gone; even the posts that supported those wires have been removed from Whitley’s streets, but Reading’s trolleybuses will be recalled in a special event this Sunday 3 June 2018. Reading Buses’ scarlet 9 route will change from Monday 24 July. It will still connect Whitley with the Royal Berkshire Hospital and the town centre, but will no longer run along Northumberland Avenue or follow the Shinfield Road into town.